What I’m about to admit may not make me a popular guy with certain wine fans and some winery owners: I loathe Baco Noir, so much so that five years ago I willed myself to try every Baco in the province. And being a sadomasochist I took a bunch of folks along with me for the ride. Now, before you start writing your hate mail and defence-of-the-dark-art-of-Baco-Noir reprimands, let me tell you the rest of the story — starting from the top. In late 2006 I found myself at a winemakers’ dinner with a number of my colleagues. We were looking at the menu, and one of the wines featured during the main course was a Baco Noir. Our debate began as to whether or not Baco was a suitable grape to make “fine wine” or whether it should be ripped out of the ground with extreme prejudice. One of my colleagues piped up with the following comment: “I don’t like young Baco, but give it five years and it can be something really good.” That got me thinking. First, that I should assemble a group of wine lovers to evaluate Ontario Baco Noirs to see which camp people fell into; and second, that I should take whatever wine is left over and lie it down for the aforementioned five years and see what happens to it. Does Baco get better with age, as my colleague suggests, or is it tough at any age? Over the years I have found that when most people talk about liking Baco Noir they’re usually referring to one producer, Henry of Pelham (HoP), who have long made this grape the flagship of their operation. Daniel Speck, VP Sales and Marketing at HoP, likens it to California’s own dark horse grape, Zinfandel. Being a Zinfandel fan myself, I don’t drink the same Kool-Aid as Daniel. But I have never told him that, until now. Before we continue it is best that I give you a little background about Baco Noir: it was discovered, or better yet, created by François Baco, a Frenchman, who crossed Folle Blanche with an unspecified variety of vitis riparia (indigenous North American grape) in 1894. At one time it was planted in Burgundy, Anjou and Landes. It is known as a French hybrid, and was created as a high yielding, phylloxera-resistant varietal to be grown during a time when European grapes were struggling against the foreign-born louse. It kicked off in February 2007. Over the course of four nights, the challenge included 36 wines poured in three different categories: Baco (two nights), Baco blends and Baco reserves (one night apiece). Members of the public were invited to pay for the privilege of a blind sit-down tasting, and to cast their votes for the best. The event was held in the rustic confines of the barrel cellar at Southbrook Farm and Winery, when they were located in Richmond Hill. We quantified the Baco by having them score the wines on a scale of 1 to 10 in three categories: 1) Do you like it and 2) Would you buy it (both blind tasted), and finally, once the price of the wine was revealed, 3) Is it good value? In 2007, the top five Baco Noirs were: Peller Estates Private Reserve 2004; Hernder Estate Baco Noir 2002; Sandbanks Estate Reserve 2005; Vineland Baco Noir 2005; and Peller Estates Baco Noir 2005. Fast-forward five years. The leftover wines, 19 of them, have been languishing in a wine cellar. I approached the king of Baco himself, Daniel Speck, to see if he would be interested in tasting the wines with me. Not only did he say yes, but he offered up his winery as a tasting venue. The night before the tasting I delivered the wines, which were unpacked and covered so that nobody attending would know the identity of the wines (including myself). Sitting around the table were three winery principals, including a winemaker who told me, “I feel like a hypocrite, because I am not a big fan of Baco. But I do love aged hybrids.” Then there were six members of the public, including four who were at the Baco Challenge back in 2007, and one, Jason Alger, who attended all four nights back in 2007. “Baco Noir is an early ripening grape that produces deep colour, big flavours, little tannin and high acidity. It is winter hardy and very disease resistant. Given these qualities it is no surprise that in wine regions with a compact and intense growing season, such as Burgundy’s, Baco Noir became popular post-phylloxera. 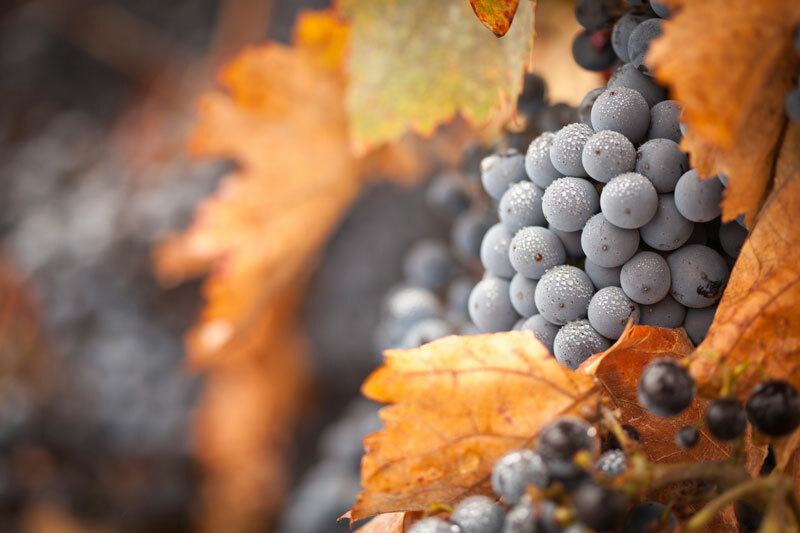 It also explains why other cool climate growing regions like Oregon and Niagara have embraced Baco Noir, leading to wine critics like Matt Kramer identifying it as one of the most underrated red wine grapes — not to mention positive praise from the likes of Hugh Johnson, [just] to mention two. With Baco’s acidity and pH rivalling that of Riesling, the specific goal of any serious producer is to balance that acidity with fruit ripeness. [Thus giving it a chance to age gracefully]. Meanwhile, the tasters went about their business scoring these wines and making their notes. The other wines that ranked in the top five at the 2012 tasting (with their placing in 2005 in parenthesis beside): Rockway Glen Estate Baco Noir 2005, Hernder Estate Baco Noir 2002, Henry of Pelham Cabernet/Baco 2004, and Smith & Wilson Estate Buckhorn Noir 2005. Am I a convert to the cult of Baco Noir after this exercise? No, but I am a little closer to understanding why it does have such a following and why some growers and winemakers continue to play in the Baco sandbox. Fad grapes will come and go, but according to the Baco kings of Ontario, it will always remain near and dear to their hearts, as they continue to win over Canadian wine lovers. One thing’s for certain: it is a grape we can call our own.